Next 9th May, the fourth and final transnational meeting of the e-PPR project (e-Learning for the Prevention, Preparedness and Response to Natural Disasters) will take place in Frederikssund and Hillerød - Denmark. The Coordinating organisation of the project (Frederiksborg Fire & Rescue Service) will be joined by Fire and Rescue services and schools from five other countries. The aim of the e-PPR project is to address the need for education and training on natural disasters. In order to achieve this, the six project partners have developed and tested an e-learning platform on the prevention, preparedness and response to natural disasters. The platform includes four e-learning modules: one for primary school children, one for secondary school students, one for adults and one for fire and rescue services. Each e-learning module is tailored to the specific needs of its target group and covers the prevention, preparedness and response to four types of natural disasters: floods, storms, heat waves and wildfires. The meeting in Frederikssund and Hillerød will be a key part of the project as the partners will present the results from the testing of the e-learning platform. From 8th to 12th February, the six organisations of the e-PPR project (e-Learning for the Prevention, Preparedness and Response to Natural Disasters) met in Vilnius (Lithuania) for their third transnational meeting. The aim of the e-PPR project is to address the need for education and training on natural disasters. 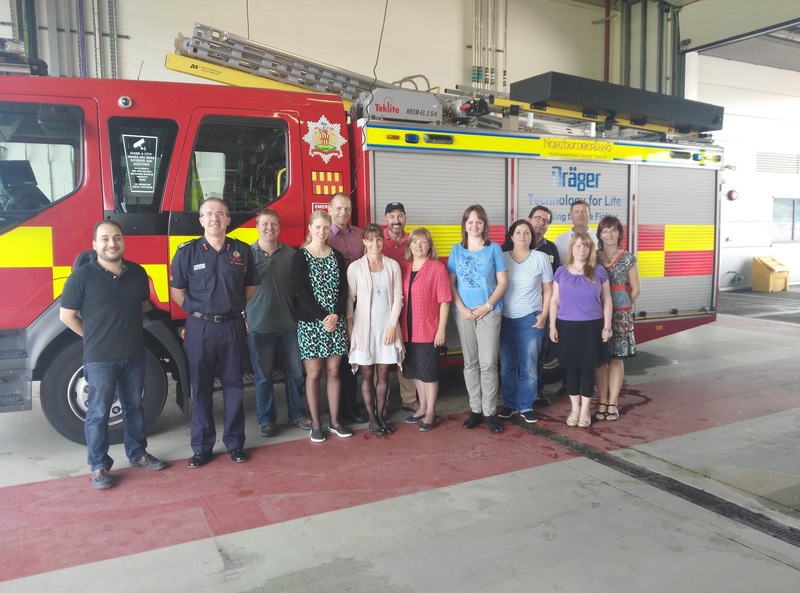 In order to achieve this, the six project partners are developing four e-learning modules: one for primary school children, one for secondary school students, one for adults and one for fire and rescue services. Each e-learning module covers the prevention, preparedness and response to four types of natural disasters: floods, storms, heat waves and wildfires. The meeting in Vilnius has been a key part of the project as the partners presented the results of the adaptation of the educational content to the needs of each target group. During the meeting, the partner from Romania, National College “Vasile Goldis”, also presented the e-learning platform which will host the four e-learning modules. On the last day, the partners evaluated the work done so far and established the guidelines for the next phase of the project: the testing of the e-learning platform with real users (primary school children and secondary school students, adults and professionals). The results of the testing will be presented during the next meeting in May 2016. The delegates also have the opportunity to visit the historical centre of Vilnius, the Palace of the Grand Dukes of Lithuania and Trakai.